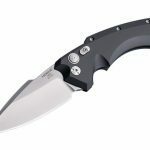 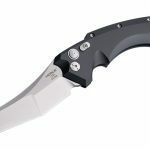 Hogue's new EX-A05 automatic knives boast a cryogenically heat-treated CPM154 stainless steel blade in spear point and modified wharncliffe styles. 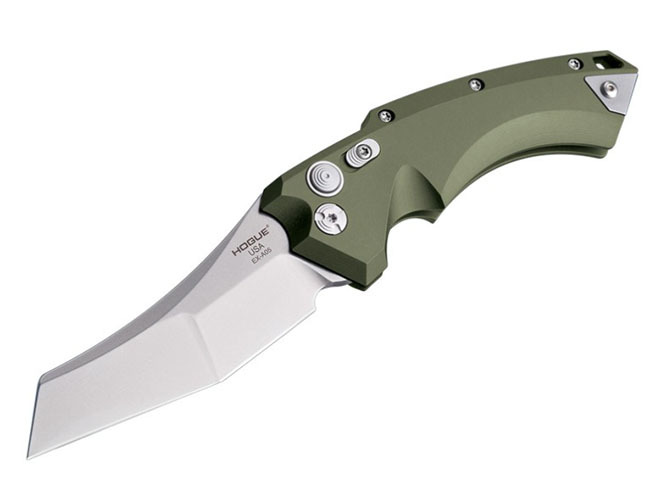 Hogue’s knife lineup is expanding with the addition of a new batch of EX-A05 autos. 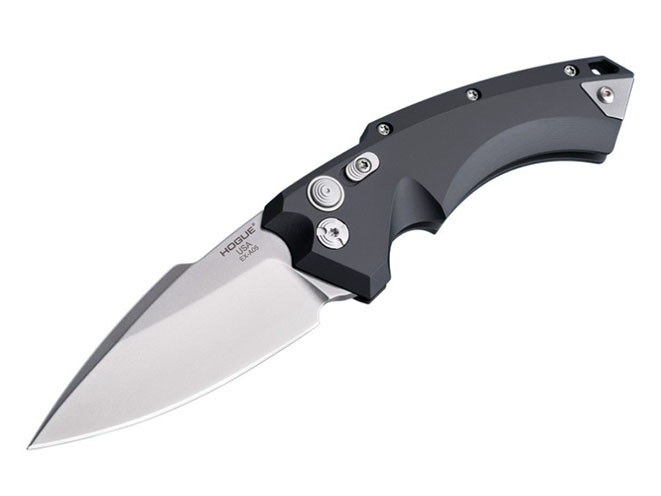 Boasting a cryogenically heat-treated CPM154 stainless steel blade with a hand sharpened edge, the EX-A05 is available in both spear point and modified wharncliffe styles. 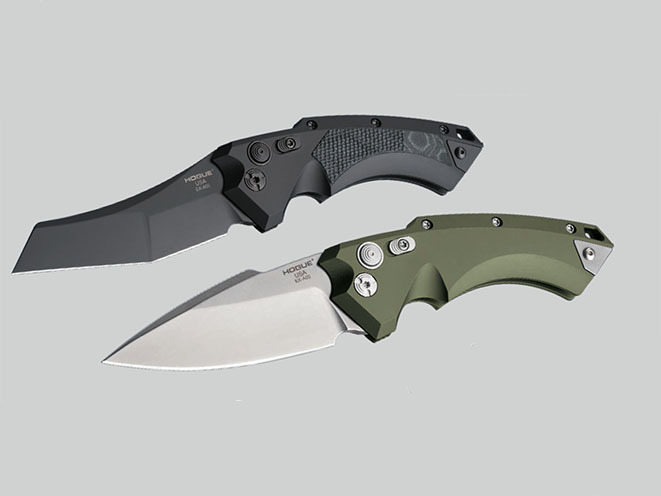 The blades come in either a tumbled stone wash or a kiln baked black Cerakote finish. Meanwhile, the handle is created from 6061 T6 aircraft aluminum and is hard anodized with either black, flat dark earth or OD green. 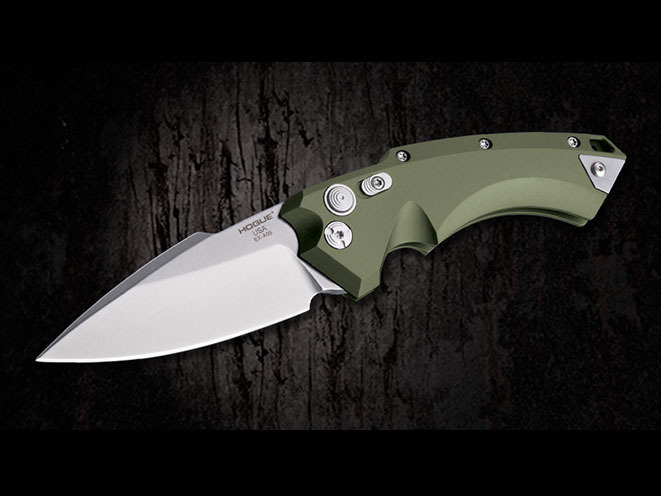 Available on the black models is an optional inlay of Hogue’s G-Mascus black G10 with a mini-piranha grip texture. 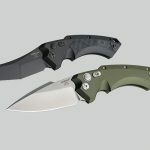 These EX-A05 automatic knives boast carefully designed recesses and curvature for a natural, ergonomic grasp, the company says. 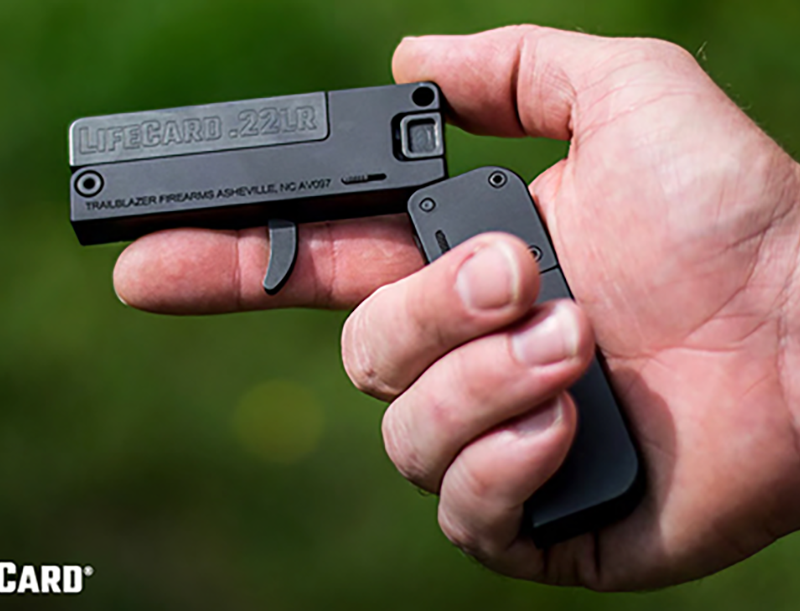 Also included is an ambidextrous tip-up pocket clip for everyday carry. 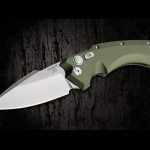 The new EX-A05 autos are reliable and consistent thanks to Hogue’s proprietary music wire spring designed by Wolff Gunsprings, which will enable them to “fire with the same authority on the first or the 10,000th deployment,” Bruhns said. 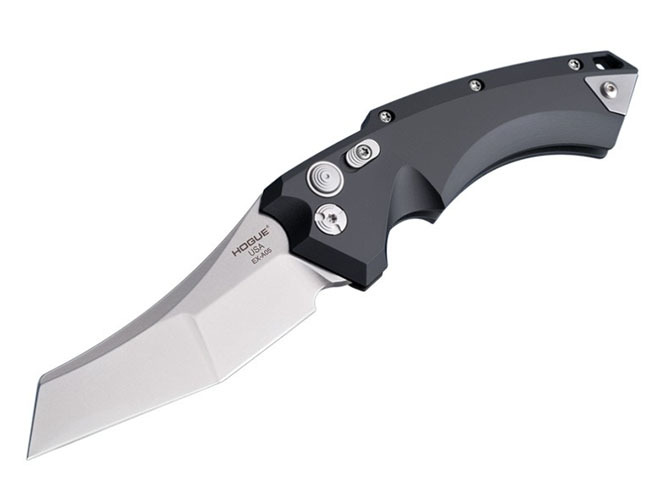 MSRP for the Hogue EX-A05 automatic knives starts at $229.95. 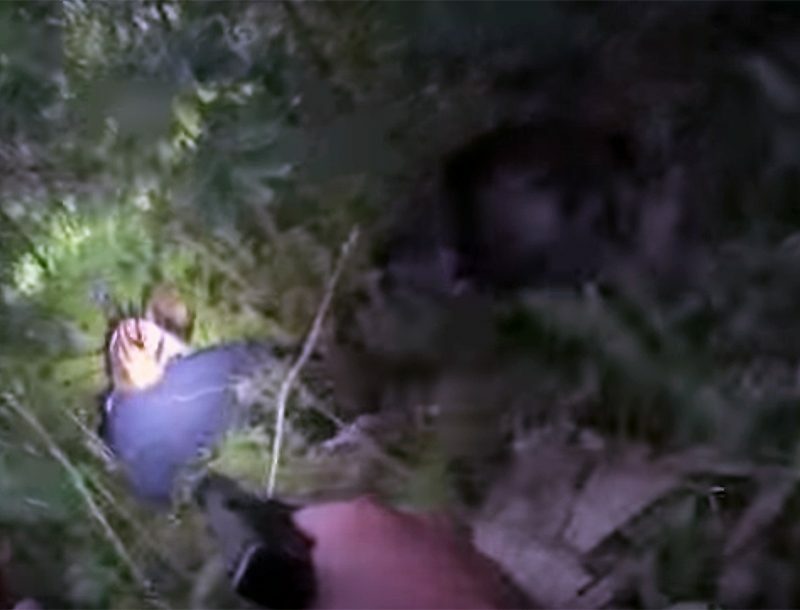 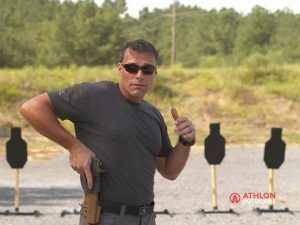 Special Operations veteran and Gamut Resolutions founder Robert Keller discusses his pistol draw technique.